We are in the midst of those fabulous two weeks that bring the world together, uniting us around the television screen to cheer on the best-of-the-best Olympic athletes. Much media time has been devoted to marveling at the determination and sacrifice that go into the hours and hours of training these athletes endure. Not to diminish the blessings of winning gold, or the opportunities Christian Olympians have to glorify Christ on the world’s stage, but physical training won’t carry with us into eternity. 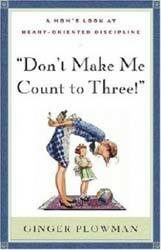 I’m reading “Don’t Make Me Count to Three!” by Ginger Plowman. It’s one of the books that has been in a neat stack next to my bed for nearly 5 years…and I’m just now getting to it! Am I the only one who does that?? It’s a GREAT book so far and has been well-timed to help me deal with some of the parenting issues that seem to magnify in the summer when my kids are together nearly 24/7. They adore each other, but like most siblings, they bring out both the BEST and WORST in each other! God’s Word certainly agrees with that! In the moment, it feels more critical to deal with the putting-off. As a mom, I just the want the behavior to stop! Getting them to stop arguing or return the “borrowed” toy will only be a temporary fix. Training my children to simply “put off” their sinful behavior is like putting a band-aid on a severed aorta. It doesn’t even come close to actually bringing about the healing we desire! But when I take the time to do some deeper spiritual investigating – probing to discover the sinful heart behind the behaviors – God can use my parenting to bring about a whole heart transplant! This heart-surgery can happen in the moment, but is even more effective when it is done preventatively. 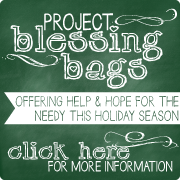 Throne of Grace has a wonderful resource that been a blessing to my family as we seek to train our little hearts. 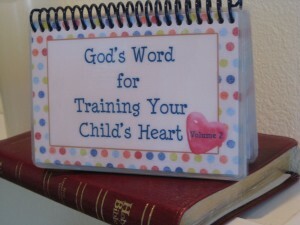 God’s Word for Training a Child’s Heart, Volume 2 was created out of necessity in the Garibaldi home! Each card in the set deals with a different area of disobedience and names the sinful behavior or attitude that needs to be “put off” along with the Christ-like characteristic that God’s Word calls us to “put on”. And, of course, the Scriptures that go along with each one are there to help teach our children that these commands come from the Lord and not from us. Visit our shop if your home is in need of a little Olympic-sized heart training this summer like ours! To celebrate our Olympic athletes, we’re offering 20% off both God’s Word for Training a Child’s Heart, Volume 1 and God’s Word for Training a Child’s Heart, Volume 2 – now through the closing ceremonies on Sunday, August 12th! This offer is good on our personalized sets here and here, as well!